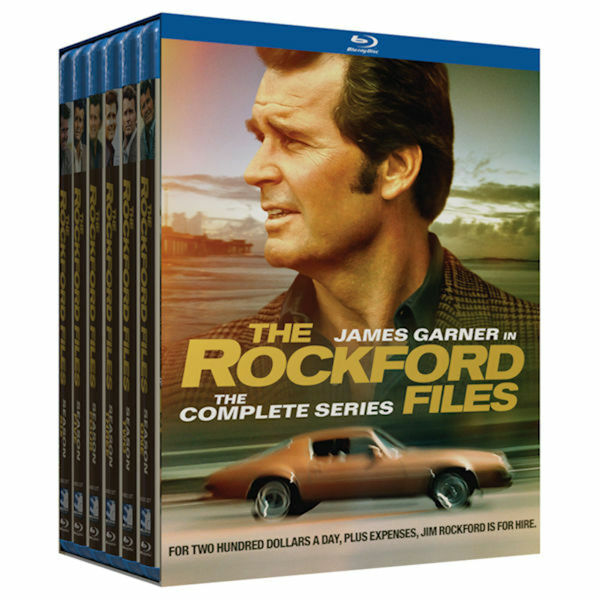 This is Jim Rockford. At the tone, leave your name and message and I'll get back to you. One of TV Guide's 50 Greatest TV Shows of All Time, this muchloved private eye series aired on NBC from 1974-80, winning 5 Emmy® Awards and 4 Golden Globe® nominations. James Garner is the wisecracking antihero detective, with Noah Beery Jr. as his dad, Rocky. Newly remastered in HD. 120 episodes, 102 hrs, 22 DVDs or Blu-ray discs, SDH.